Young Latvian violinist Laura Zarina charms her listeners with a particularly noble, beautiful sound and an earnest, clear playing style. She constantly seeks to convey the core of the works she performs and in doing so carry her audience away to the emotional heights and depths of music. Even during her studies in Latvia (Andris Baumanis, Romans Sne, Igors Dorins) and in Germany in Rostock (Professor Petru Munteanu) and Berlin (Master’s degree in 2012 with Professor Ulf Wallin), Laura Zarina performed in concerts internationally. Master classes led her throughout Europe and the US to Mihaela Martin, Miriam Fried, Thomas Brandis, Yuzuko Horigome, Bernhard Forck, Renaud Capuçon, Igor Oistrakh and to the Tokyo String Quartet. She received additional artistic input at the International Music Academy Switzerland 2011 with Seiji Ozawa, Robert Mann, Pamela Frank, Nobuko Imai and Sadao Harada, as well as through her collaboration with Menahem Pressler at Villa Musica Mainz. Zarina has received multiple awards in national and international competitions, most recently the Villa Musica Young Performer’s Prize and a special prize for her Schubert interpretation at the international „Premio Rodolfo Lipizer“ Competition in Gorizia, Italy. 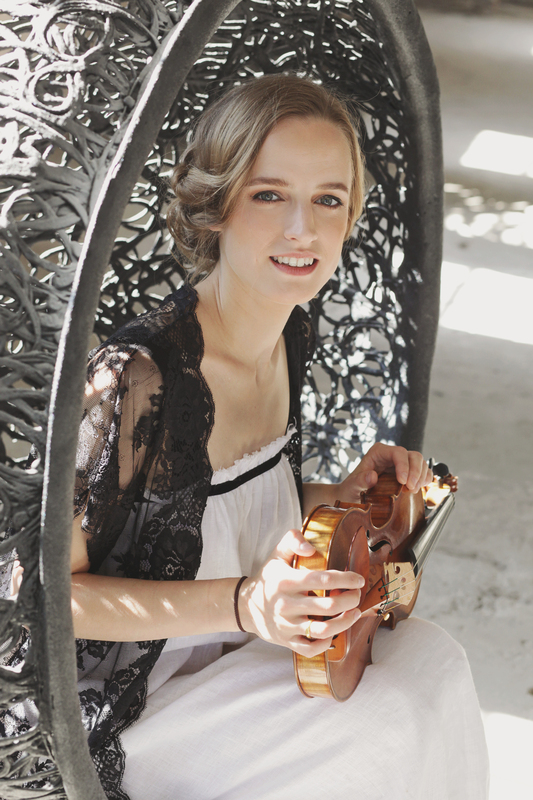 For five years she has been passing on her expertise by teaching violin and chamber music. In her concert programs, Zarina always deals with different music periods and instrumentation. One of her primary artistic goals is to achieve a synthesis of sense and sensibility. With her creativity, she aims to bring to light what is hidden in the works of music. When making music in ensembles, such as in duets with guitar, piano or voice, she enjoys the great freedom to express the finest fibres of rich colour and emotion. Even in larger chamber music ensembles and when performing works with orchestras, Laura Zarina seeks to engage her artistic means to express the intensity of the music. 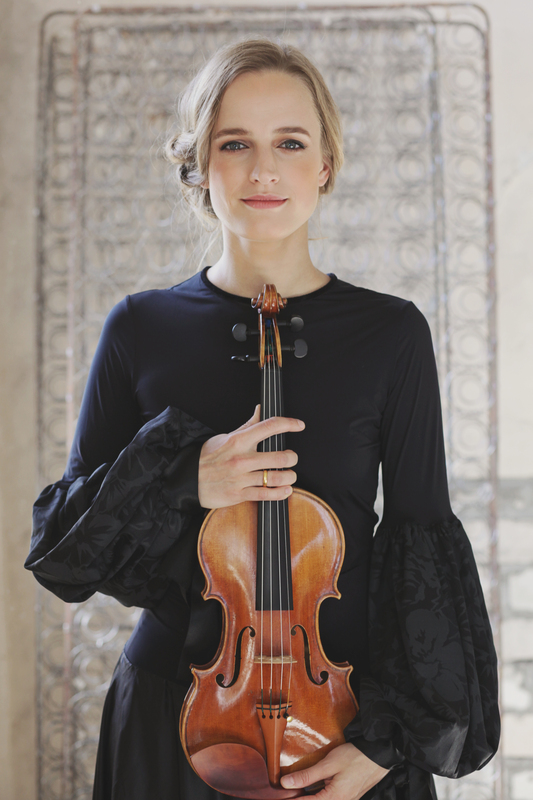 As a solo violinist, Zarina gives concerts with the National Latvian Symphony Orchestra, the National Latvian Opera Orchestra, the Liepaja Symphony Orchestra, the Estonian Symphony Orchestra, the Mainz Chamber Orchestra and the North German Philharmonic Orchestra Rostock. As a chamber musician, Zarina has been a guest at various festivals such as LaMusica in Sarasota, Florida (under the leadership of Bruno Giuranna); the Montebello Festival and the Engadin Festival, Switzerland; the „Rencontres de Musique de Chambre“ in Chambéry, France (under the leadership of R. Capuçon); the Progetto Martha Argerich in Lugano, Switzerland; the Hohenlohe Culture Summer, the Mecklenburg-Vorpommern Festival, the Bad Hersfeld Festival and the Bach Festival of Hesse/Thuringia, Germany, among others. Her chamber music collaborators include artistic personalities such as Bruno Giuranna, Antonio Meneses, Marie-Elisabeth Hecker, Eva Bindere, Federico Agostini, José Franch-Ballester, Jonathan Aner, Lilit Grigoryan, Denis Kozhukhin and Heike Matthiesen, among others.